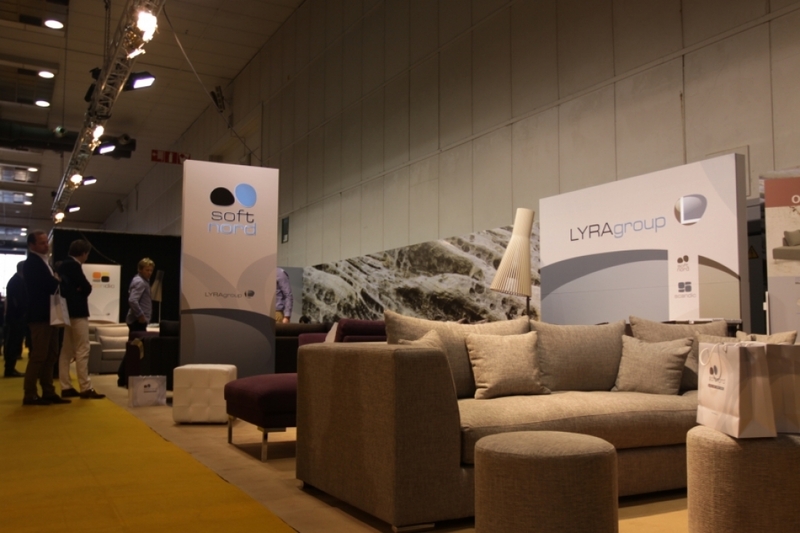 On November 4-7, “Lyra group” participated in the furniture fair in Brussels, where Scandinavian style upholstered furniture SOFTNORD and SCANDIC manufactured by “Lyra group” was evaluated excellently and received huge interest from visitors of the exhibition. “We are very pleased with the results of the fair in Brussels. I can safely say that we have introduced SOFTNORD and SCANDIC brands to the international business and consumer community appropriately and received numerous offers to cooperate. I am sure that some of these offers will be realized and will strengthen our position in foreign markets”, said the Director of “Lyra group” Žydrūnas Sipavičius who participated in the fair in Brussels. Currently, “Lyra group” sells its upholstered furniture in Norway, France, Belgium, Germany, Holland, Denmark, Finland, Sweden and other countries.